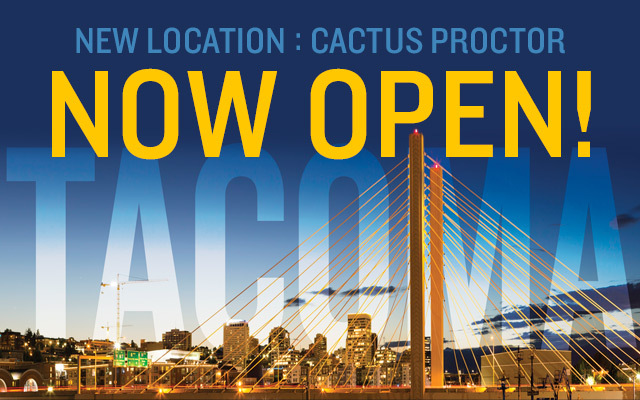 The main floor private room at Cactus South Lake Union offers great value and flexibility. 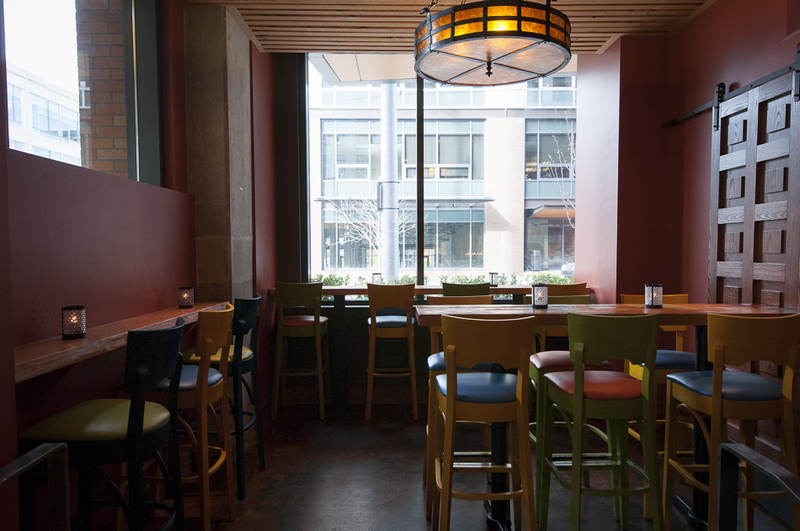 This room provides a great view into the bar, yet still remains private. 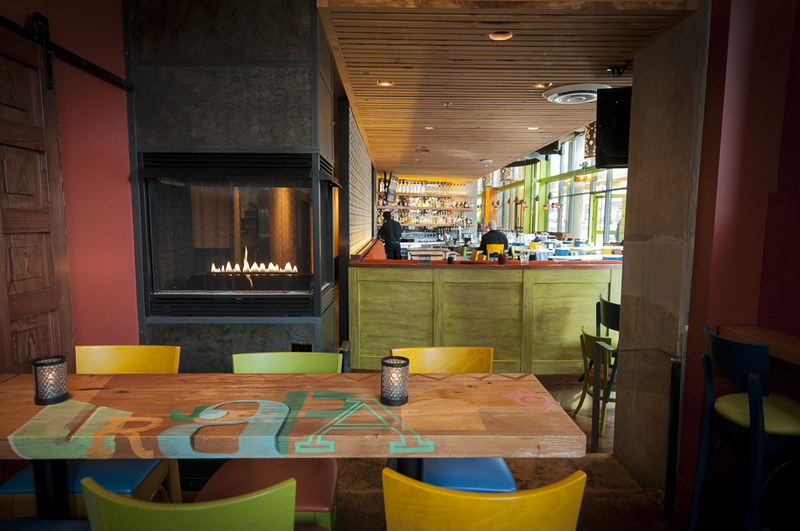 With its own fireplace and flexible setup, this smaller room can comfortably seat up to 8 for dinner at one table and accommodate up to 20 for social mixer. Happy hour menu is available (during happy hour). Simply call and make a reservation. An after work, before dinner event with light bites and delicious drinks. 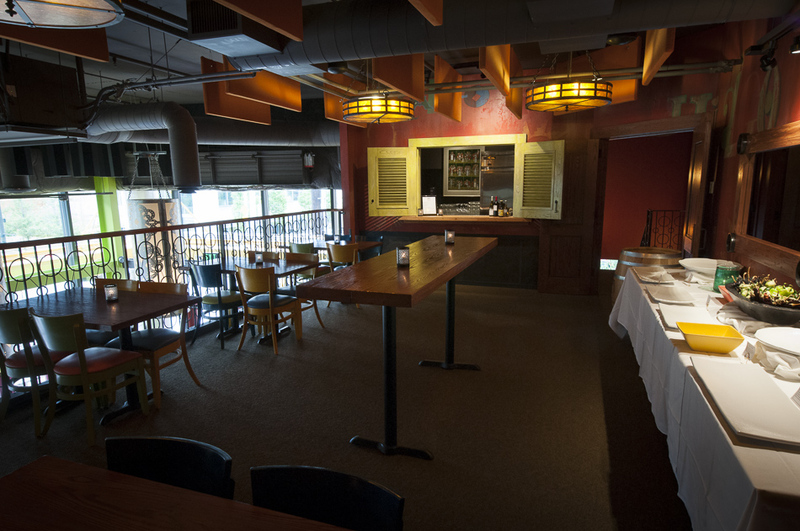 This is a great space for a social mixer as we have seats for 25 plus standing room around bar height tables for another 15-20. 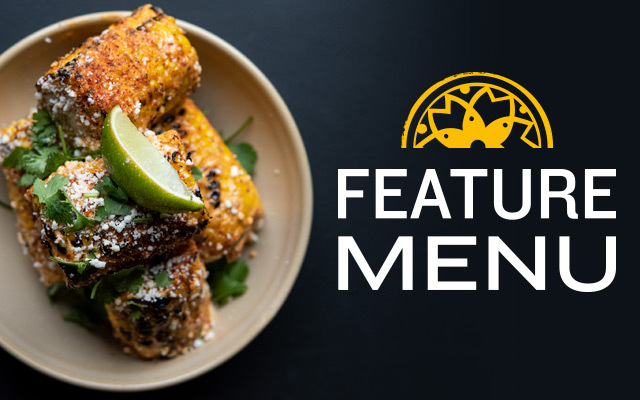 We’ll work with you to craft an appetizer menu that meets your budget. 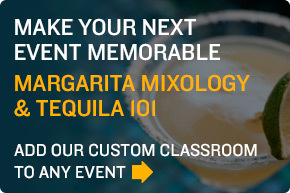 We can also create a drink menu that offers something for everyone. If you want to limit alcohol consumption or control your budget, we’re happy to make drink vouchers for you. This is the perfect option for up to 32 guests. Since there’s no ordering, this is a great option for a team looking to get away from the office—yet still hoping to talk shop. We can get you in, and out, in under 45 minutes. 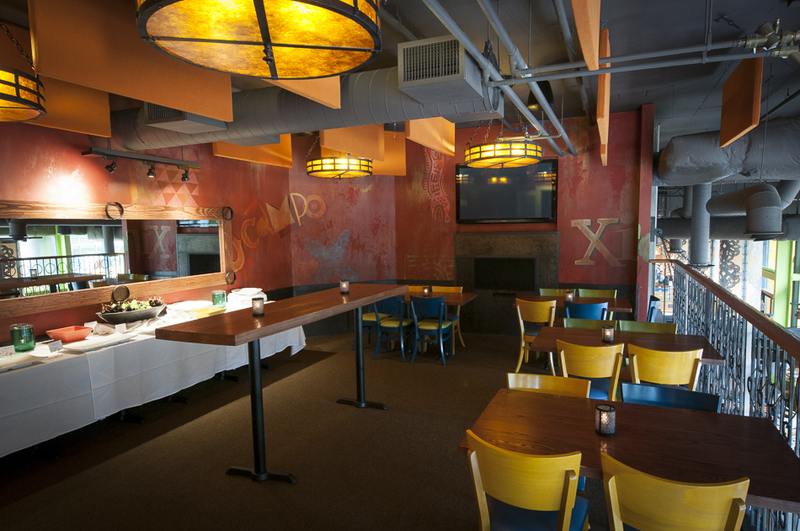 Designed for fun and socializing, this configuration can accommodate up to 40 people. 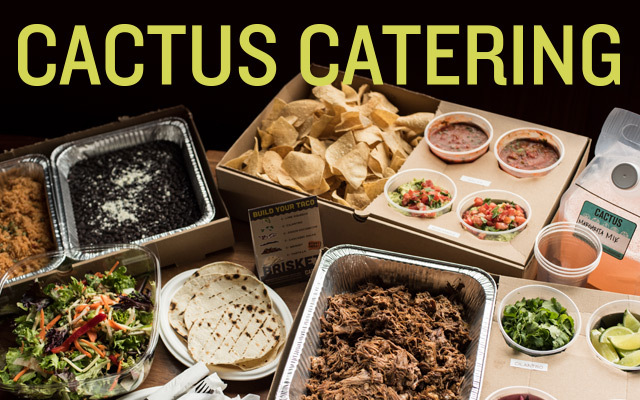 We will work with you to develop a menu of platters that meets your tastes and your budget. 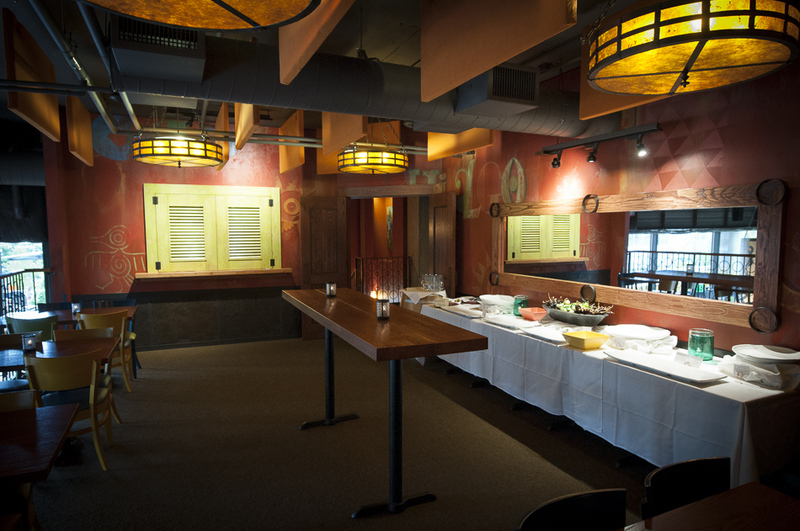 Our buffet table is setup and replenished in small batches throughout your event by our chefs. This ensures that your food stays fresh and well-stocked. This is our most popular option because it offers such a great variety of tastes and textures for your guests—everybody is happy. 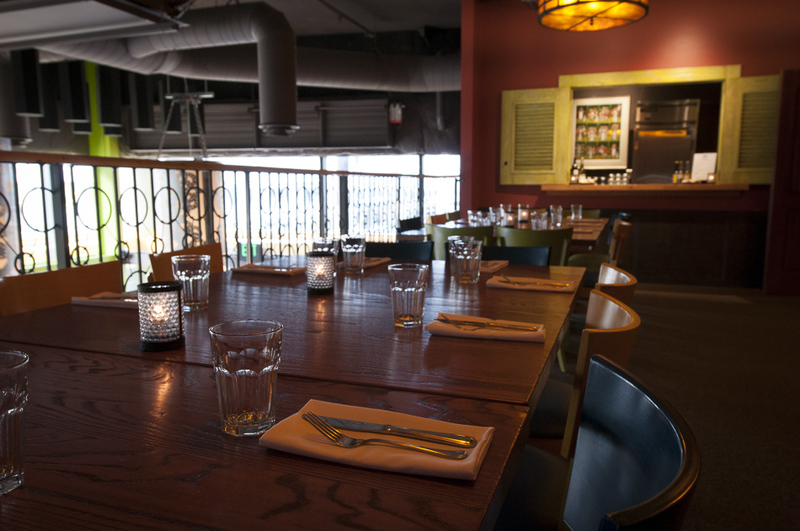 For a more formal event we can host a complete seated dinner. 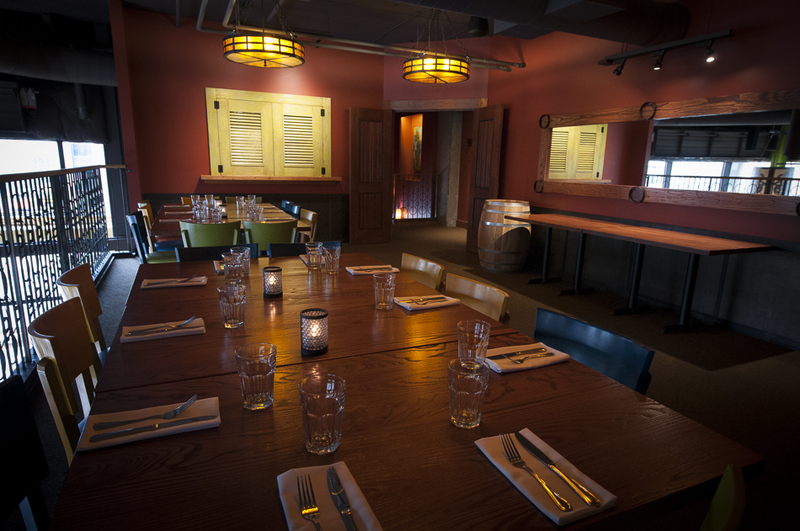 In this configuration, we can accommodate up to 32 guests. We’ll work with you to create a special menu for the even that offers something for everyone.. With this option our guests often choose to have a “cocktail hour” prior to the event. 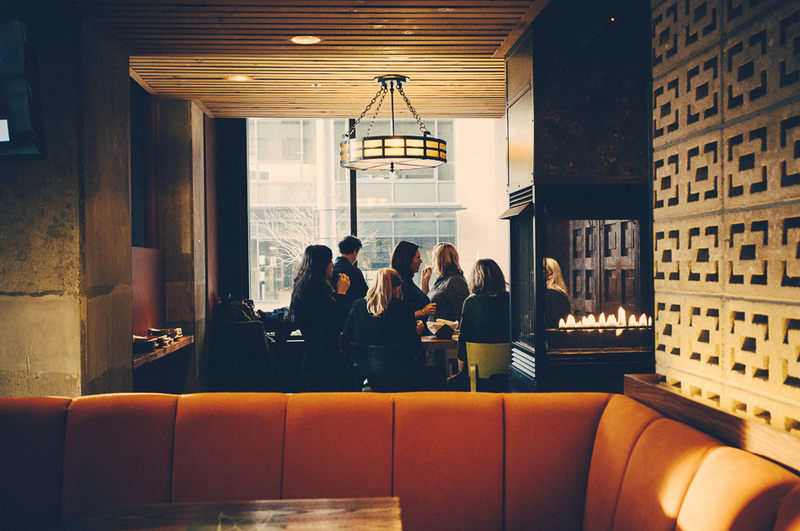 While it’s usually not a full hour, it gives your guests a chance to socialize before sitting down for dinner. Best of all, we can set up a small appetizer buffet to provide some light bites while you are talking. 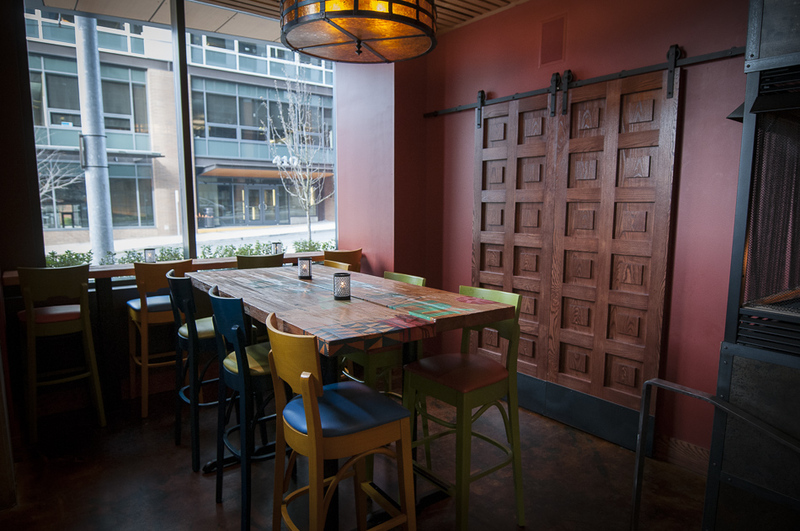 If you want to reserve the smaller Main Floor Private Room simply call Cactus South Lake Union at 206.913.2250 and reserve the space. 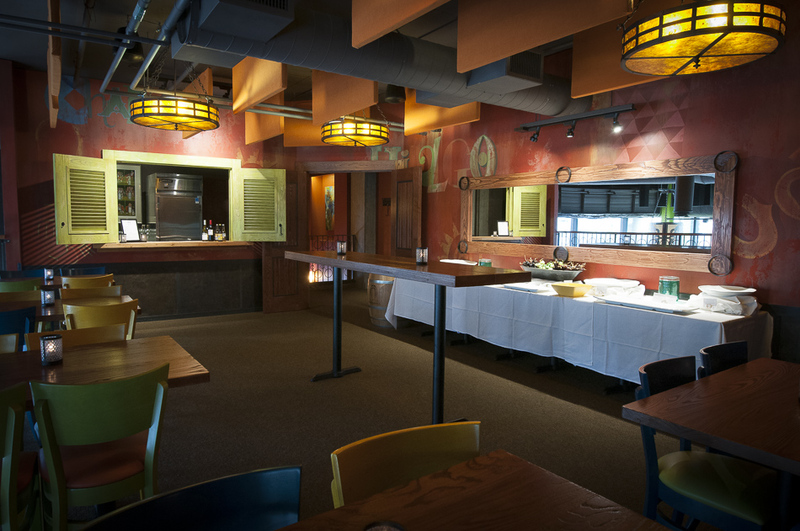 If you are interested in the larger Private Mezzanine space fill out our online event form using the button above. It takes about 2 minutes and helps us put you in contact with right person to help arrange your event. You will be contacted shortly. 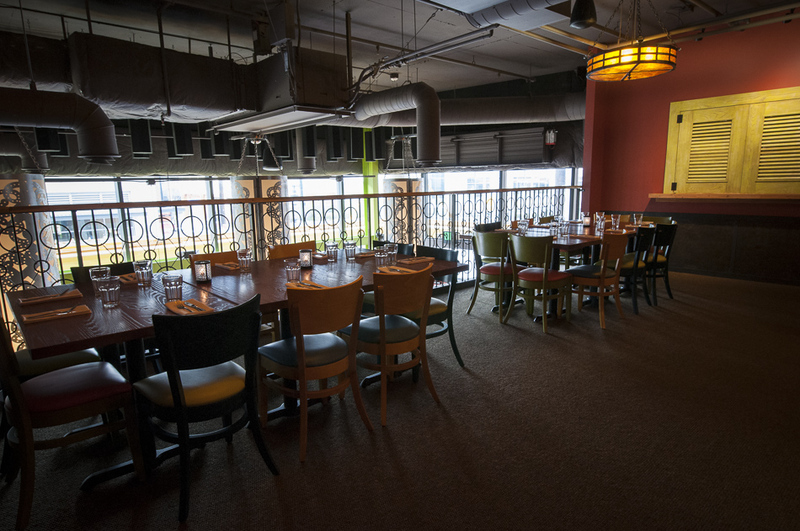 Our mezzanine level private dining room was designed with meetings and presentations in mind. Just bring your HDMI or VGA enabled laptop and you can display your presentation on our 60-inch flat screen monitor. We’ll take care of all the details so all you have to worry about is your presentation. 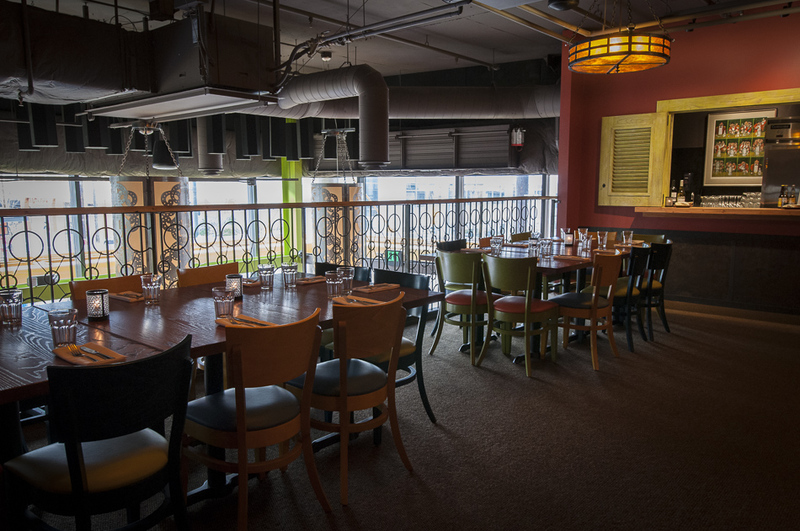 While our entire restaurant is ADA compliant and accessible to everyone—our private mezzanine is not. We are sorry for the inconvenience.